The finale of “Sink Atlantis”, the four-part crossover with the Suicide Squad! The undersea kingdom of Atlantis is overrun with black-ops super-villains; a dethroned ex-King of the Seven Seas; and a former assassin-mermaid from the Bermuda Triangle, all locked on a collision course! 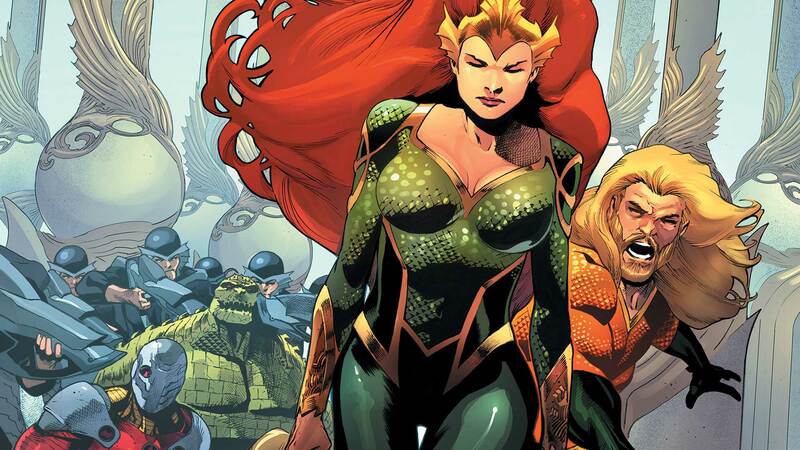 The Suicide Squad, Aquaman and Mera: no holds barred!